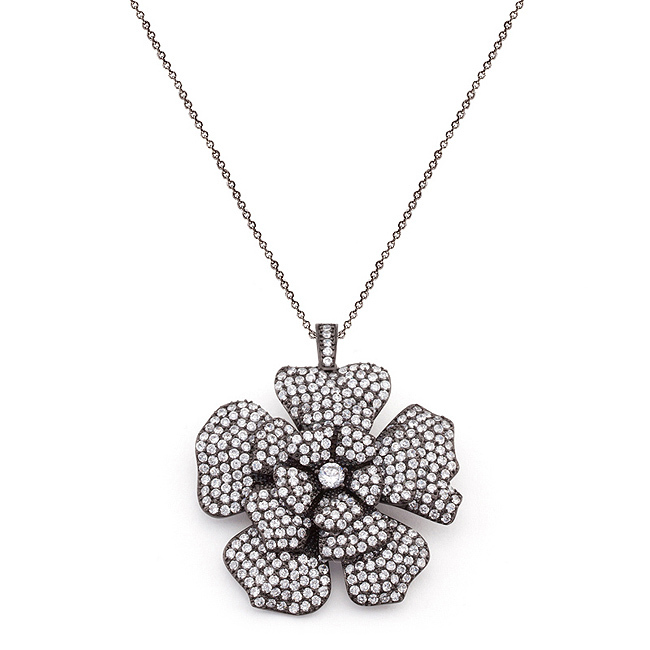 A double duty statement necklace featuring a large floral design and a rich array of sparkling clear stones in a bold cool hematite. Depending on your wardrobe mood take it from brooch to necklace or vice versa. Our black tone is achieved by coating our items with heavy layers of either hematite or black rhodium.